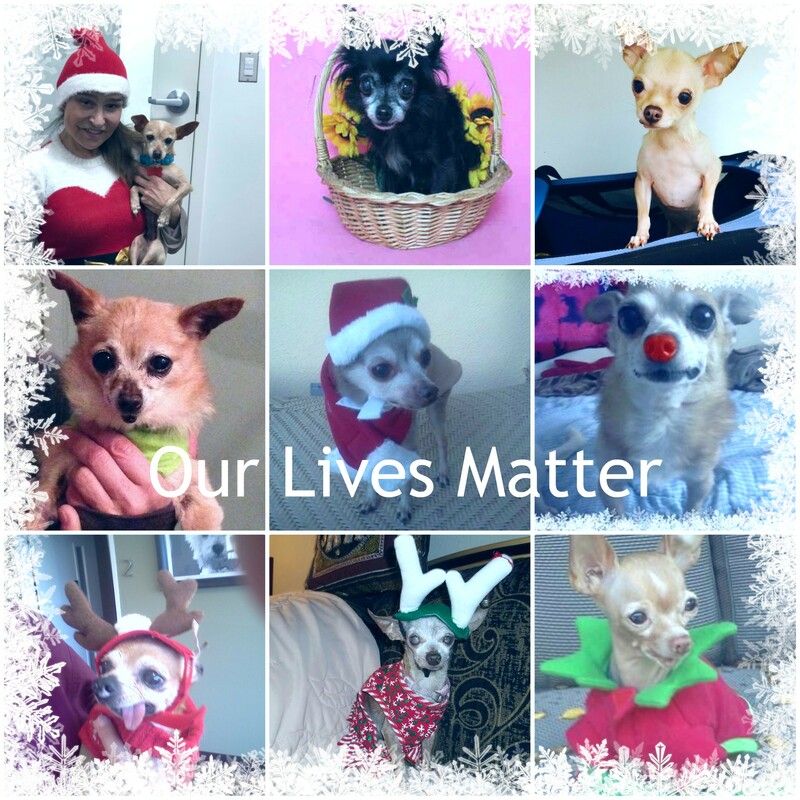 Please consider making your year end donation to us so that we can rescue more senior and special needs doggie!!! With this year winding down we would like to take this opportunity to thank each and everyone of you for being part of our rescue family, for the love and support you have given to us throughout the year!! We appreciate you guys more than words can express!! Without you we could not keep doing rescue!! Its been quite a year!! We’ve rescued so many beautiful homeless souls that have gone on to find forever loving homes, we lost a few of our fur kids that were in our care for quite few years. Sometimes I forget they can’t live forever. Its been a year now since my sister passed away from cancer and still my heart aches for her. My sister was an animal lover and right after she passed we rescued a very sick little pom mx and I named her Cheryl after my sis!!! Cheryl is still doing fantastic, she is diabetic but has gained 4 pounds and is so grateful to be alive!! With that being said if you would like to make a year end donation or a monthly donation, (no donation is ever too small) we would be so very grateful!! our pay pal is pepperfoundation@aol.com and our mailing address is: The Pepper Foundation 3940 Laurel Canyon Blvd. #735 Studio City, CA 91604 We are a 501 (c) 3 all breed senior and special needs dog rescue, dedicated to saving the lives of animals from high kill shelters. Our mission is to get each animal fully vetted, rehabilitated when needed, and into loving foster homes, and ultimately into loving forever loving homes!! We spare no expense and treat each animal as if he/she was our very own. Every animal deserves a second chance!! Many animals come to us on their 11th hour and are in such bad condition and many times abused, which is why we are so grateful for donations and are so appreciative for even the smallest one! !I If you would like to donate just click donate and you can even make this a monthly donation.